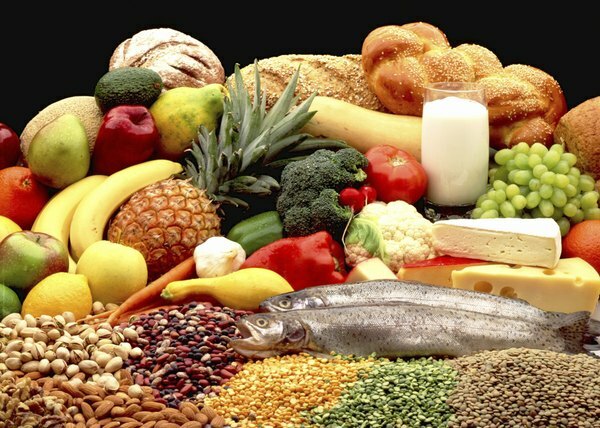 Carbohydrates and proteins can be metabolized for energy. Carbohydrates and protein are energy-producing nutrients, providing 4 calories per gram when metabolized. Fats are your body's other energy source at 9 calories per gram. Carbohydrates are burned preferentially. Your brain and nervous system can only use glucose, a simple carbohydrate, for fuel. 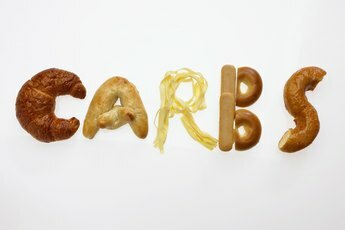 Proteins and carbohydrates are very different chemically; each makes unique contributions to your health. Together with the other nutrients -- fats, vitamins, minerals and water -- your needs for growth, reproduction and immunity are met. According to the Institute of Medicine Dietary Reference Intakes, 45 to 65 percent of your daily calories should come from carbohydrates. Make fruits, vegetables, milk and whole grains the foundation of each meal you eat to ensure that you meet your minimum carbohydrate requirement of 130 grams. These carbohydrate-containing foods provide the highest nutritional value in the fewest calories, which are packed with essential vitamins, minerals, fiber and antioxidants. Choose whole foods whenever possible, as refined carbohydrates lose mineral and fiber content during processing. For example, eat your lunchtime sandwich on whole-wheat instead of white bread. Choose brown rice and whole-grain pastas over their white counterparts. In addition to a higher nutritional content, whole-grain foods are commonly lower in fat and added sugars. Your brain cannot store glucose, so when carbs are in short supply following a low-carb, high-protein diet, the lack of glucose causes irritability and fatigue. Two other simple sugars, fructose and galactose, combine with glucose to form more complex carbohydrates and starches. 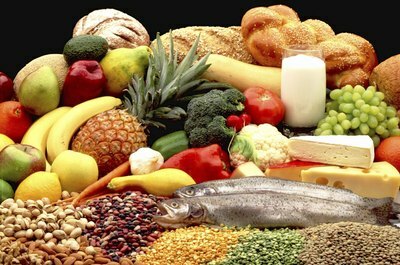 Bread, pasta, cereals, corn and potatoes are examples of common starchy foods. Fiber is another type of carbohydrate essential for good digestive health. It is indigestible by your body. 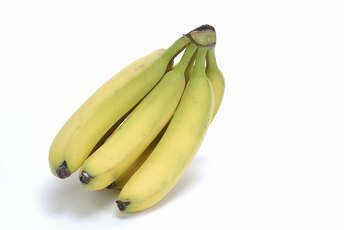 A high-fiber diet tends to induce satiety, ultimately reducing calorie intake. Include oatmeal, legumes, barley, citrus fruits, pears, peas and bran liberally in your diet to increase fiber intake. Proteins are comprised of smaller units called amino acids. Approximately 20 amino acids exist; some are manufactured by the body and others are supplied in the diet. The type, amount and sequence of amino acids found in a protein determine its characteristics and function in your body. Upon digestion, protein is broken down into amino acids, which become part of an amino acid pool. When new proteins are needed, your body draws the required amino acids from the pool. Animal proteins are complete; they contain all of the amino acids needed for making new proteins. Incomplete proteins, by contrast, lack one or more amino acids needed to support growth. Incomplete proteins commonly come from plant foods. Your body requires protein for growth and body cell maintenance. It's essential for muscle tissue repair and for proper immune function. Protein is also metabolized for energy when carbohydrates and fat are in short supply. Enzymes and hormones require proteins for their formation, too. The richest protein sources are animal foods, such as meat, poultry, eggs, milk and cheese. Most American diets are based on these foods, so meeting your protein requirements is generally not a problem. 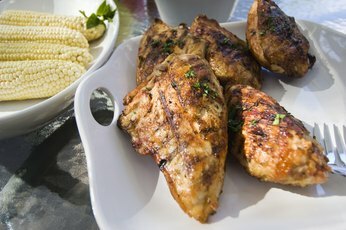 Ten to 35 percent of your daily calories should come from protein, according the Institute of Medicine. Carbohydrates, Fats & Proteins Are Part of Which Nutrient Class? What Are the Differences in Proteins & Starches?